Right-wing populism is advancing across the world. Bernie Sanders wants to fight back. 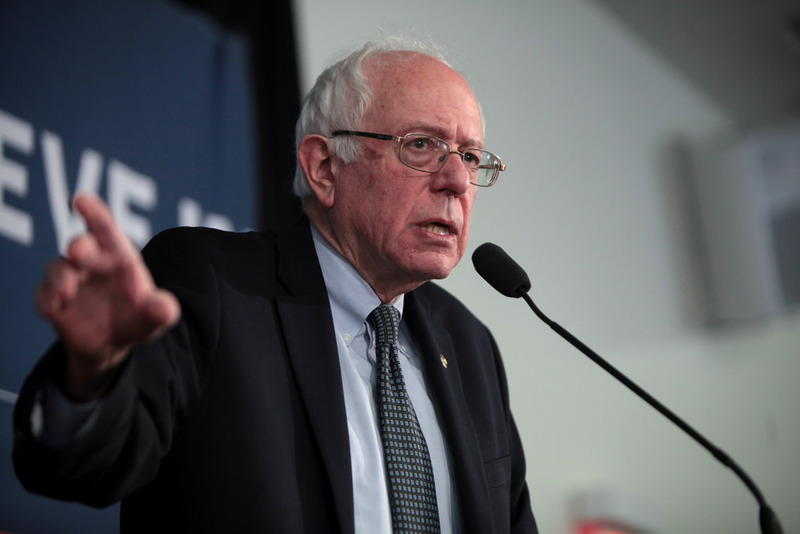 Bernie Sanders has been called “bad on foreign policy” by just about everyone under the sun. Coming from those to his right, it typically means insufficiently deferential to the hawks of the foreign policy establishment. Sanders vocally opposed and voted against the Iraq War, is more critical of Israel than any other major American politician, has proposed drastic cuts in military spending, sought to terminate the US nuclear weapons program, opposes US support for the Saudi-led offensive in Yemen, and has expressed strong opposition to past CIA-backed coups in Latin America and Iran, among other unorthodox foreign policy positions. Coming from the Left, criticisms have often been founded in legitimate concern that Sanders’s foreign policy hasn’t departed from the bipartisan consensus as much as his domestic economic policy has. For example, while all of the above is true, he doesn’t support the movement for Boycott, Divestment, and Sanctions (BDS) against Israel, and he has cast his vote for US military intervention several times during his decades-long tenure in the Senate. He has spoken on occasion about the need to preserve American military might, even while he inveighs against the waste and the abuses of the US military at other times. As a young man Sanders sought to be a conscientious objector to the Vietnam War, visited post-revolutionary Cuba, and arranged diplomatic meetings with Sandinistas. But his tenure in the Senate coincided with a yawning absence of a strong domestic antiwar movement, and he often found himself toeing the liberal line on foreign policy, saving his dissent for domestic policy fights and big-ticket foreign policy episodes like the Iraq War. But Sanders’s life and his task have changed considerably since his presidential campaign catapulted him from relative obscurity into the national spotlight three years ago. Now, Sanders seems to be taking more seriously the responsibility he bears to represent the Left on American foreign policy. This responsibility entails using his platform to differentiate a leftist approach to foreign policy from a liberal one, as he’s done with domestic policy. It’s a heavy lift. Though we desperately need one, there is no single strong current of left internationalism in the United States that isn’t deformed by age-old subterranean alliances, one that stands a chance at persuading a significant portion of the American populace to oppose war and enabling international solidarity on a mass scale. In this new era of left resurgence, we must build a new left internationalism by hand. Sanders’s speech yesterday, titled “Building a Global Democratic Movement to Counter Authoritarianism” and adapted from an editorial he wrote in the Guardian last month, was a yardstick measuring his progress in this task to date. In it, he spelled out a dual opposition to authoritarianism and oligarchy. Sanders emphasized throughout his speech that economic inequality and wealth concentration are corrosive to democracy, and in turn to civil rights — a refrain we’ve heard from him many times in the domestic context. We must develop a global movement against unaccountable state and corporate power, which are mutually reinforcing, he said. They aren’t rising to power out of thin air, Sanders said. The new authoritarian right is borne aloft by the failures of capitalism. We see today massive and growing wealth and income inequality, where the world’s top 1 percent now owns more wealth than the bottom 99 percent, where a small number of huge financial institutions exert enormous impact over the lives of billions of people…. We often have political leaders who exploit these fears by amplifying resentments, stoking intolerance, and fanning ethnic and racial hatreds among those who are struggling. We see this very clearly in our own country. It is coming from the highest level of our government. Sanders identified Trump’s election as an accelerating factor in the rise of the global authoritarian and oligarchic right. Israel’s Netanyahu administration and the Saudi monarchy, he said, have both been emboldened in their abuses by Trump’s intensification of preexisting American support. Sanders also criticized the Trump administration for expressing its support, via its ambassador to Germany, of far-right parties across Europe. He then drew connections between the political leaders of these parties and the moneyed interests that stand to gain from their right-wing economic policy, including here in the US. “Many of these leaders are also deeply connected to a network of multi-billionaire oligarchs who see the world as their economic plaything,” he said, pointing out that both the Koch brothers and the Saudi royal family spend big in Washington, while the Mercer family splurges on elections both at home and in Europe. But Trump did not cause this rot in the system, Sanders insisted. He is a consequence of it. Like others on the authoritarian right, he has risen to power by stoking hatred and division that was already endemic in a stratified and hyper-competitive society, and tapping into well-established corporate networks that likewise predated his political career. to effectively oppose right-wing authoritarianism, we cannot simply be on the defensive. We need to be proactive and understand that just defending the failed status quo of the last several decades is not good enough. In fact, we need to recognize that the challenges we face today are a product of that status quo. The task of the American left is not simply to oppose specific right-wing leaders and movements around the world, though that is surely required. And it’s certainly not to depose those leaders with a top-down US-led interventionist foreign policy that further entrenches American hegemony. The task is to build an international movement of our own against capitalist elites, against authoritarian strongmen, for civil rights and liberties, and “for a future in which public policy and new technology and innovation work to benefit all of the people, not just the few.” In short, for democracy and for socialism. Our task is to fight against corporate power in concert with workers in other countries. This means building bonds through struggle with working people around the world fighting — as we are here in the United States — against corporations destroying the planet; against political corruption, including the purchasing of elections and voter suppression; against the extreme concentration of wealth into the hands of the 1 percent while the rest experience extreme poverty or at least declining living standards; against trade policies that increase corporate profits while devastating the lives of working people by the millions; and against the acceptance of the world’s $1.7 trillion annual military budget, much of it the United States’, which should instead be redirected toward peaceful ends. While the authoritarian axis is committed to tearing down a post–World War II global order that they see as limiting their access to power and wealth, it is not enough for us to simply defend that order as it exists. We must look honestly at how that order has failed to deliver on many of its promises, and how authoritarians have adeptly exploited those failures in order to build support for their agenda. We must take the opportunity to reconceptualize a global order based on human solidarity, an order that recognizes that every person on this planet shares a common humanity, that we all want our children to grow up healthy, to have a good education, have decent jobs, drink clean water, breathe clean air, and to live in peace. Our job is to reach out to those in every corner of the world who shares these values, and who are fighting for a better world. A popular left internationalism is elusive, but not unobtainable. It’s a necessity if we stand any chance of ensuring peace and prosperity for all people, against the narrow interests of the global capitalist class. After all, corporations don’t let borders stop them. Neither should the democratic socialist movement to counter corporate hegemony.